We have full moons, blue moons, Harvest moons, supermoons and any number of culturally relevant references to the moon. Maybe it’s time to unearth a few moon myths and misconceptions. Follow the links below to learn more about the moon. Myth 1. The moon has a permanent dark side. Most grammar school students know that the moon presents only one face or side to the Earth. This is (roughly) true and gives rise to the idea that there is a permanently dark side of the moon, a thought immortalized in Pink Flyod’s music and elsewhere.In fact, the side of the moon that is perpetually turned away from Earth is no more dark than the side we see. It is fully illuminated by the sun just as often (lunar daytime), and is in shade just as often (lunar night), as is the familiar Man in the Moon face we see. Myth 1 is that moon has a permanet dark side. 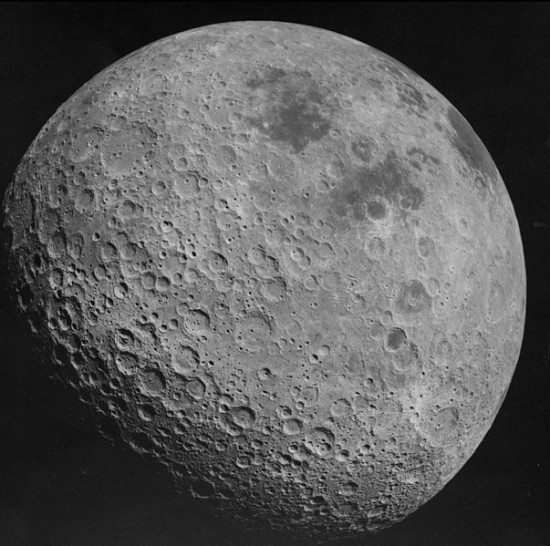 This is the far side of the moon, as photographed by Apollo 16 in 1972. Notice: not dark. Image via NASA. The Earth-facing side of the moon gives rise to another misconception that many people share, namely that we see only 50% of the moon from Earth. In fact, only about 41 percent of the moon’s far side (a much more accurate and preferable term than dark side) is perpetually hidden from earthly observers. A diligent observer on Earth can, over time, observe about 59% of the moon’s surface. This is because a phenomenon called libration causes the moon’s viewing angle, relative to Earth, to change slightly over its orbit. Lunar libration is due to the fact that the moon’s orbit around Earth isn’t a perfect circle. Instead, it’s a slightly elongated circle called an ellipse. Imagine a race car on an elliptical track. At each elliptical end of the racecourse, the car is flung out slightly due to the change in angle. It is a bit like rounding a corner. 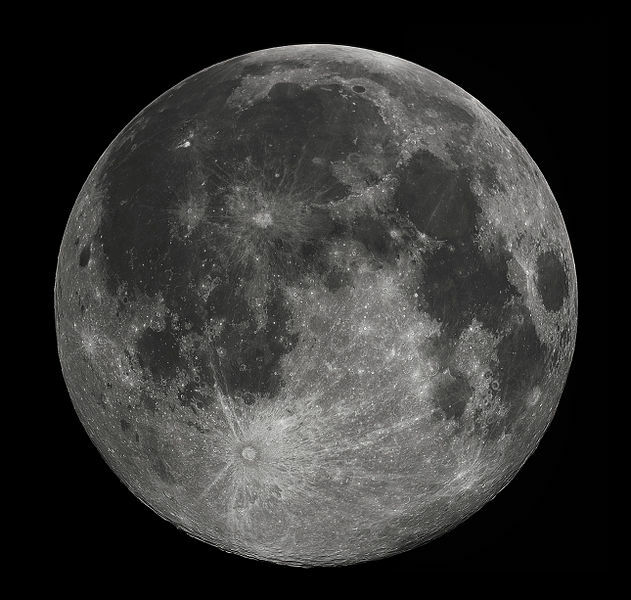 The result for the moon is that it occasionally exposes slightly more of its surface on the eastern or western extreme (depending on the location in the orbit). That’s why, as viewed from Earth, about 59% of the moon’s surface is exposed over the course of the moon’s (roughly) monthly orbit around the Earth. Myth 2. The moon is perfectly round. Near side of the moon, as seen through a telescope. The moon looks round, but it isn’t. In a dark sky, the moon looks bright white, but this image captures its true asphalt gray color. Notice that the moon’s near side has dark “maria” or “seas,” while the moon’s far side (photo at top of post) lacks these features. Image via Wikimedia Commons. Myth 3. The moon is bright white. Anyone who has seen a full moon high in a clear sky late at night has a right to believe this. Comparatively speaking, however, the moon is neither particularly bright nor actually white. It appears very bright relative to the dark sky, and ordinarily looks white to the eye. Remember the old-style incandescent light bulbs? Now imagine a 100-watt light bulb located about 150 feet away, and shining in an otherwise completely dark night. That is approximately how bright the full moon is. Really. And the color? Well, as with brightness, color is a subjective thing. The moon emits no light of its own, but rather shines by reflecting sunlight. Sunlight is composed of all colors, but peaks in the yellow-green range of the spectrum. The sun looks white when high in the sky, as does the moon, because of the way our eye-brain connection mixes all the colors together. The moon’s color varies somewhat according to its phase and position in the sky, although this color variation generally is too subtle for human eyes. However, the moon is actually gray rather than pure white, on average much like the well-worn asphalt on most streets. Myth 4. There is no gravity on the moon. But of course the moon does have gravity. The idea that the moon has no gravity is frankly so ludicrous that I would not even mention it were it not so prevalent. Shown an image of one of the Apollo astronauts jumping high or seemingly floating across the lunar surface, some of my college students will reply that it is because there is no gravity on the moon. In reality, the force of gravity on the moon is only about one-sixth what it is on Earth, but it is still there. This isn’t a real photo. 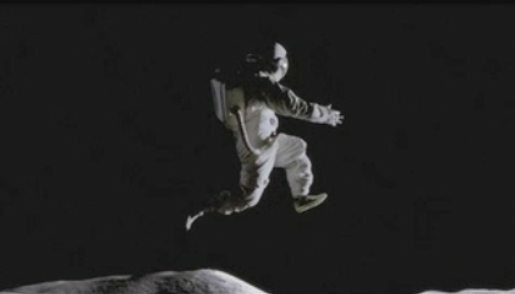 It’s from a television commercial for Nike footwear, called “Moon Jump.” The idea of zero gravity on the moon is equally imaginary. I think that this moon myth, widespread though it may be, is simply a misunderstanding of what the word gravity means in physics. Every physical body, whether it be the sun, the Earth, the moon, a human body or a subatomic particle – everything that has substance – has a gravitational pull. While the practicality of measuring your weight (the pull of gravity) on tiny objects, such as a grain of sand, can be debated, the force exists and can be calculated. Even photons of light and other forms of energy exhibit gravity. Gravity holds galaxy clusters, galaxies, stars, planets and moons together and/or in orbit about each other. If every physical thing did not exhibit gravity, the universe as we know it could not exist. Myth 5. The moon raises significant tides in people. 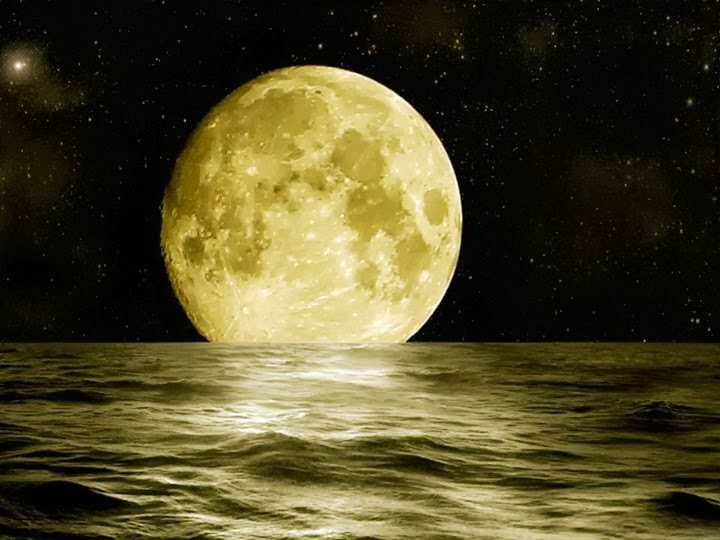 There is no question that the moon, or rather its gravity, is the major cause of oceans tides on Earth. The sun’s gravity raises tides, too, by the way, but its effect is smaller. Some folks use the indisputable fact of the moon’s effect on the tides to argue that the moon raises tides in the human body. However, to believe that ocean tides and human tides both are caused by the moon betrays a major misunderstanding about how gravity works to produce ocean tides. In short, gravity depends on two things: mass and distance. Tides are produced only when the two objects involved (say, the Earth and the moon) are both of astronomical size (far larger than a human! ), and also close (astronomically) in distance. The moon is roughly 30 Earth diameters away from our planet, and roughly 1/80th of the Earth’s mass. Given that, the moon helps raise tides, which on average, are a couple of meters high in the fluid oceans. The moon may tug your heartstrings, but its tidal effect on the human body is negligible. If tidal effects were even measurable in the human body, which they aren’t, they would be on the order of a ten-millionth of a meter, or about one-thousandth the thickness of a piece of paper. Those are still tides, you say? Perhaps. But they are far, far smaller tides than are raised within your body when a truck passes you on the highway … or even when another person walks past you on the street. So while the moon’s gravity can power the tides on Earth, its effect on a human body is utterly inconsequential. Bottom line: Moon myths, take that! The moon doesn’t have a permanent dark side. The moon isn’t perfectly round. The moon is gray, like asphalt, not bright white. There is gravity on the moon. The moon may raise tides in people, but the tidal pull of the person sitting next to you is greater than that of the moon. This post was written by Larry Sessions and reblogged from EarthSky.Org.